Drink a lot of water. 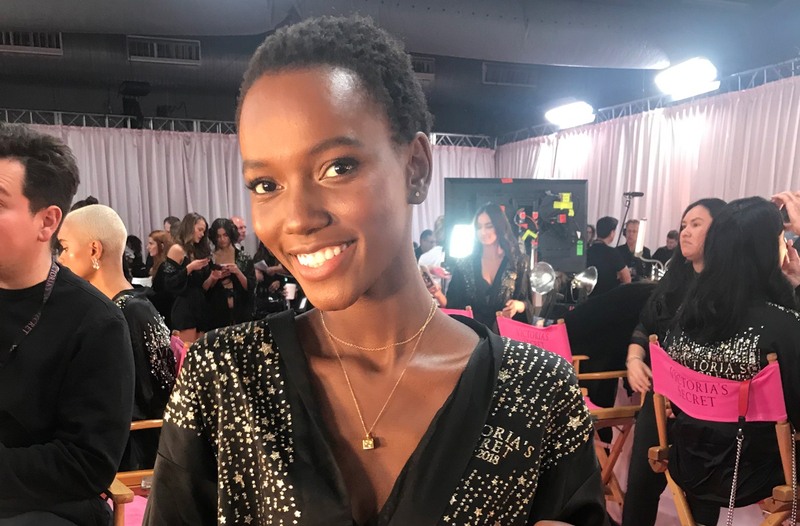 It’s the oldest trick in the book, and yet, one that I heard time-and-time again when I went backstage at the Victoria’s Secret Fashion Show (which will air on December 2) this year. While models have access to all the perks of a wellness life well-lived (and while others are known for throwing down some out-there philosophies), it seemed that everyone I talked to this year was back to the basics: chug that H2O, take off your makeup at night, meditate, and squeeze in a sweat sesh when you can. Let’s be real, it’s not magic, model-making advice, but I do think that there’s something to nailing the good-for-you basics (or picking one good habit to start making) and keeping consistent on a regular basis. From there, it’s all about what makes you feel good and in your own skin. Without further adieu, here are the wellness tips I gleaned backstage. Megan May Williams (left): “For me, it’s drinking lots of water. And having hot water and lemon in the morning. I’ve also been taking this collagen powder leading up to the show. You put it in hot water—it’s a tip from my dad and it’s meant to fight aging and give you a glow. I also put it in smoothies with lots of greens. Spinach is really good with ginger and lemon. Cucumber is really good, I like it in my smoothies. To copy some Angel-approved fitness routines, this is Karlie Kloss’ Victoria’s Secret show workout. And here’s Josephine Skriver’s pulling exercise that she does for a sweat sesh.